We all like something for free right and free cash is the best surely! The best cashback sites are able to give you money back for your online shopping. It really is free money for nothing. My teen was amazed when she booked her girls holiday in the summer for nine of them and she got over £100 cashback. Our other big paybacks from cashback sites have been £125 for opening an ISA and also getting my dogs pet insurance at half price saving me £40. 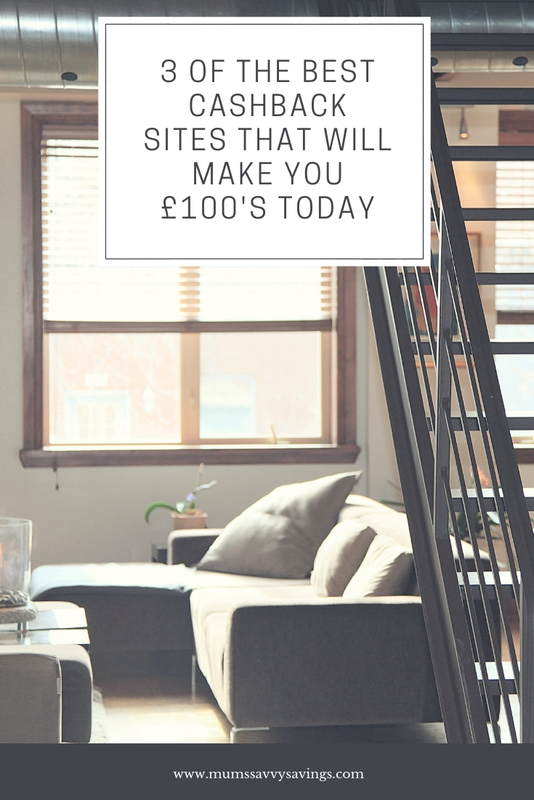 Over the course of a year I tend to get back about £300 and today I am sharing the best cashback sites so that you can save money. Basically, the best cashback sites give you, the consumer, money back for shopping via their portal. So you simply login to your chosen cashback site and then select the retailer you want to use and then shop as usual. The cashback sites make their money from the retailers and not from the consumer. It doesn’t cost you anything to use the service. Which are the best cashback sites? There are a number of cashback sites and being registered with a few makes good financial sense. I tend to use two sites regularly as that way my cashback builds up quicker. When withdrawing your money from the best cashback sites do look at opting for vouchers instead of cash as often you get more back if you opt for vouchers. This suits me as I save them up for Christmas shopping. By opting for high street vouchers they can be used in a number of stores too. TopCashBack is my preferred site and the one I use the most. It has some great offers currently for new members including FREE Benefit Makeup or FREE Cadbury’s chocolate. 2. The second Cashback site I recommend is Quidco which works in the same way as Topcashback. Quidco offers new members £5 when they sign up and first use the service. Therefore it worth signing up now to get this extra kickback. 3. Boom25 is the new kid on the block and is doing things a little differently. Basically, every 25 transactions is winning their money back for the order they just placed. Apparently, the biggest payout so far has been for over £400! What a result. Imagine that you have just spent out £400 and you then get an email back to say you are being refunded and still getting the goods you have ordered! It would make my day!. I have heard of a few people that have got their money back. This could easily become the top of the best cashback sites if people continue talking about it! You can register via this link TODAY. The best cashback sites are free to register, offer great rewards and just give you money for doing the shopping that you were doing anyway! It is a win win. The only downside is that some take a while to pay out – but it doesn’t bother me as it always comes through and the terms are clearly stated. Register today and start saving.